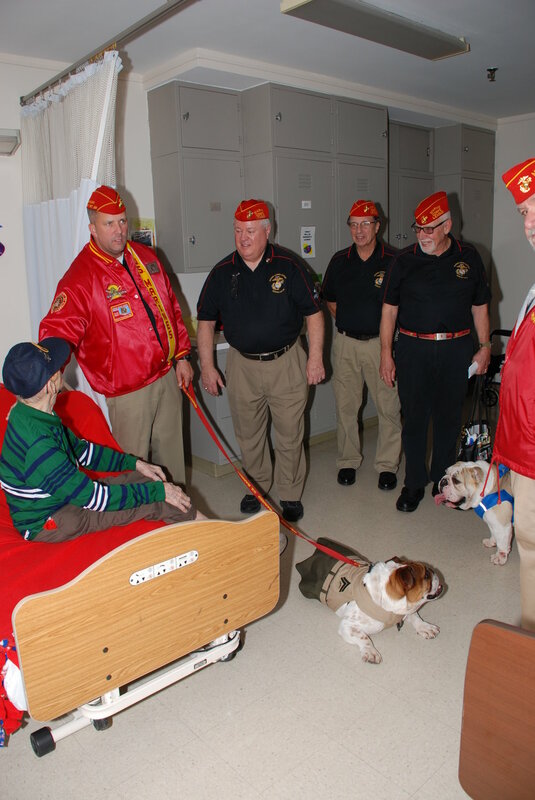 On November 12th LVMCL was on a mission to visit Veterans at three nursing homes in the local area. 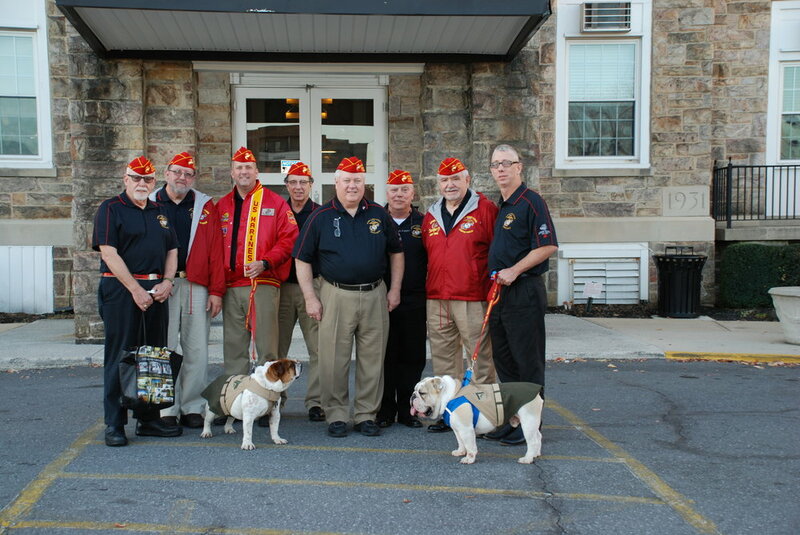 With our group to honor Veterans was Opha Mae and Reckless, Howard Schaeffer's service dogs. The day is chronicled in photos an tell the story of the day. On November 12th Judge Advocate Schaeffer, Marine Hurley Spinks, my daughter Elena, and I visited Mosser Nursing Home. Unfortunately with having such few people there we were not able to take photos. One benefit of having such a small group is that it allowed us the time to get more personal with the residents. We each spent a lot of time sharing stories and showing off Opha and Reckless. As always the staff of Mosser were very supportive, of our mission, and allowed us to walk between both meeting rooms and to individual rooms as well.